Tri-Pane Installations, Inc., Accu-Weld & OKNA together form a team that cannot be beat. To view all the various window & door options available from Accu-Weld and OKNA please click on their logos below. 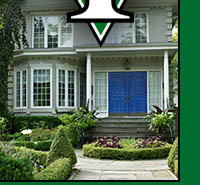 Tri-Pane's goal is simple, to provide you our customer with the best possible installation of your new windows. Our crews are fully insured, licensed & bonded in the Tri-State area. We currently have 6 full time crews on a 7 day schedule. Our crews are experts with many years experience. We install thousands of windows & doors each year. We do window glass replacement and repair. 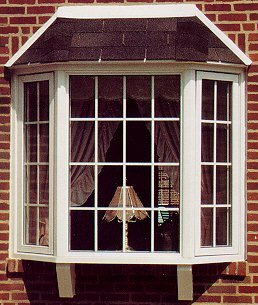 We provide replacement window parts, repair and service. We do not cause any damage to your walls or window casings. Our crews will clean up & take away your old windows and any other trash. All "capping" (external trim) is included with your purchase. Our crews usually consist of 2 craftsmen, for larger jobs we will include additional crews as is necessary. Most jobs can be completed in one day. You will find our craftsmen provide quality workmanship together with fast & friendly service. We promise you won't have a messy home for more than a few hours. Until you are completely satisfied with our work, we won't ask for the final balance.